Do you remember those fun troll little toys you had when you were a kid? Trolls look like they have so much fun. Just look at their hair. It's always such bright, fluorescent colors and it's always shaped into spiky tufts on the top of their head. We even came up with a theory about those trolls. Colorful, pointy hair must be the secret to their happiness! 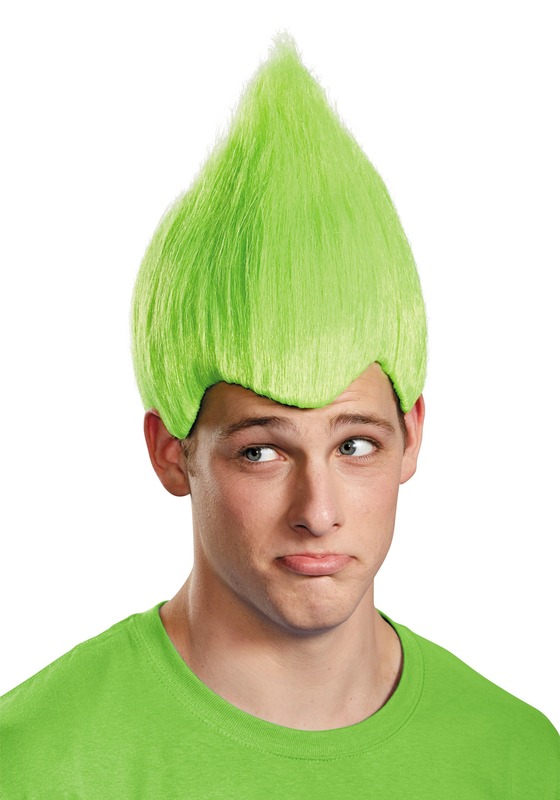 Of course, we quickly found out that happiness is a lot more complicated than hair color alone, but this Green Wacky Wig does seem to make people feel a bit perkier! 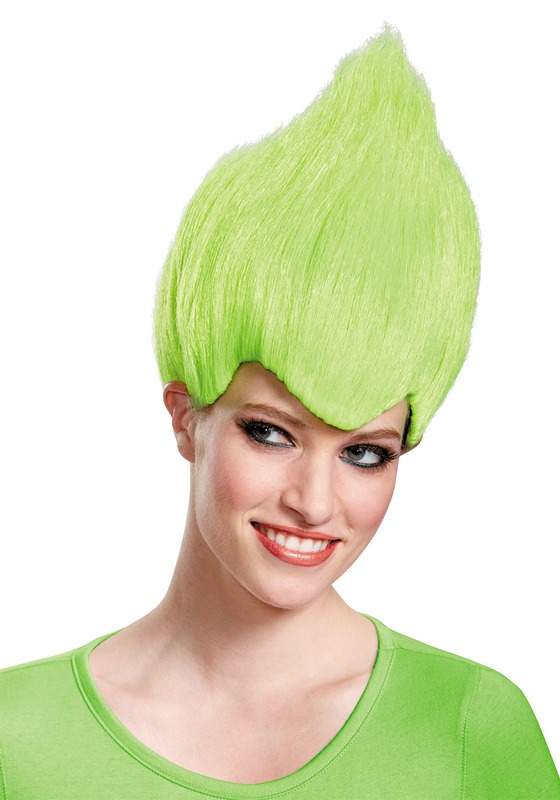 This costume wig comes with some brilliantly bright green hair, made from synthetic fibers. It's one of the quickest and easiest ways to create a look based on your favorite childhood toy. It's also a quick way to get yourself instant access to being a member of a punk band (provided you can play some kind of musical instrument).